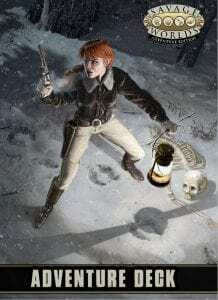 The Savage Worlds Adventurer’s Guild Launches January 22nd! 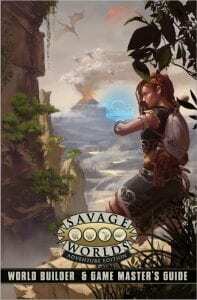 Next Tuesday, January 22nd, the new Savage Worlds Adventurer’s Guild goes live offering you (yes, YOU) the opportunity to create new and original content using the Savage Worlds rule system and sell it on OneBookShelf platforms like DriveThruRPG.com, DriveThruCards.com, DriveThruFiction.com, DriveThruComics.com, and WargameVault.com. For creators, we’ll offer a range of art, templates, and logos to help you accomplish your ideas for Savage Worlds, and we have created comprehensive guidelines to start sharing your worlds with the real world. Unlike other community content programs, creators will retain the rights to the material they publish and once you activate your Savage Worlds Adventurer’s Guild title for public sale, your account will begin to accrue a 60% royalty every time your title sells. 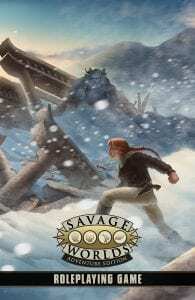 You may also now publish using the Savage Worlds Fan License if you wish to produce unapproved, free, material on your own website. Fan licensed material does not allow Pay What You Want pricing or exclusive content to patrons—it must be completely and immediately free to everyone. And please note that a new, high-res PSD of the Fan logo is now available for download. Please visit our licensing page for further details or contact PEGLicensing@gmail.com. We can’t wait to see what you all have in store for the Savage Worlds Adventurer’s Guild!